Cookies set by the website owner (in this case, INNsight or The Hawthorne Inn & Conference Center) are called "first party Cookies". Cookies set by parties other than the website owner are called "third party Cookies". Third party Cookies enable third party features or functionality to be provided on or through the website (e.g. like advertising, interactive content and analytics). The parties that set these third party Cookies can recognize your computer both when it visits the website in question and also when it visits certain other websites. We use first and third party Cookies for several reasons. 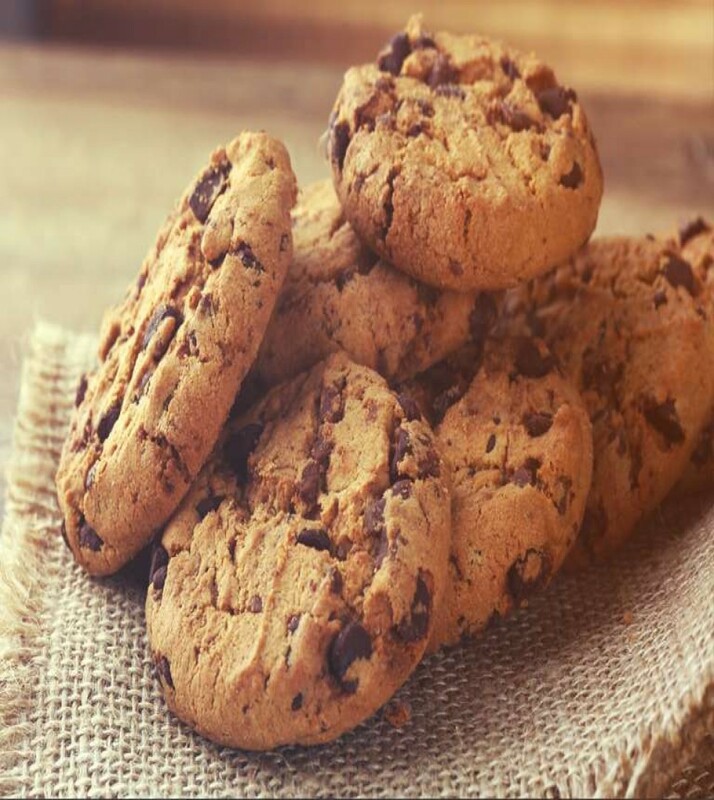 Some Cookies are required for technical reasons in order for our websites to operate, and we refer to these as "essential" or "strictly necessary" Cookies. Other Cookies also enable us to track and target the interests of our users to enhance the experience on our Online Properties. Third parties serve Cookies through our websites for advertising, analytics, and other purposes. This is described in more detail below. Provide usage of our website(s): We use information that we collect through Cookies to let you use the website(s) for the primary purpose of providing our services. Providing targeted advertisements: We use certain third-party services who collect information through Cookies to pursue our legitimate interests by providing targeted advertising suggesting tourism-related local businesses such as hotels, restaurants, salons, spas, wineries, golf courses, attractions, resorts, guided tours and other recreational activities. Where necessary, we will obtain prior consent before Cookies are placed for this purpose. If consent is given, you can withdraw it at any time. In addition, you can object to our processing of your personal data for advertising purposes at any time. Market Research: We use common third-party services like Google Analytics that we collect information through Cookies to pursue our legitimate interests to engage in anonymous market research (including the analysis of market segmentation or trends, preferences and behaviors, research about products or services, or the effectiveness of marketing or advertising) or product development (including the analysis of the characteristics of a market segment or group of customers or the performance of our website, in order to improve our website). Sharing with Third Parties: We share your personal data with third parties as permitted by law and as described below, including service providers acting on our behalf. We do not sell or rent your personal data. Competent Authorities: We disclose personal data to law enforcement and other governmental authorities insofar as is required by law or is strictly necessary for the prevention, detection, or prosecution of criminal acts and fraud. These Cookies are strictly necessary to provide you with services available through our websites and to use some of its features, such as access to secure areas and to book accommodations. How to refuse: Because these Cookies are strictly necessary to deliver the websites to you, the websites will not function as normally expected if you refuse or block these. You can block or delete them by changing your browser settings however, as described below under the heading "How can I control Cookies?". These Cookies are used to enhance the performance and functionality of our websites but are non-essential to their use. However, without these Cookies, certain functionality (like videos) may become unavailable. Our website(s) use Google Translate functionality to quickly and accurately translate our website content to a variety of international languages to improve user engagement and usability for people who may have a different primary language than English. We use cookie data to improve the ability to display translated content to users throughout their entire experience while on our website(s). How to refuse? : To refuse these Cookies, please follow the instructions below under the heading "How can I control Cookies?". Our website(s) use Google Currency API functionality to quickly and accurately translate our website’s currency display and calculations to a variety of international currencies to provide a localized experience for travelers who may be booking their travel in a foreign country’s denomination. We leverage cookie data to ensure that currency conversion is displayed and carried through the entire reservation process accurately and displayed accordingly to the user from inception of an availability check the completion of a reservation on our platform. Our website(s) use the online chat support service provided by Tawk.to. Cookies set by the Tawk.to widget and scripts are necessary to provide the functionality of chat support service and optionally to send a transcript of the chat and send any files that a user might upload in connection with any issue for which they need support. Tawk.to has a clear data protection policy which can be found at www.tawk.to/data-protection/ that states that they are not involved in any kind of data mining, collection or advertising. Our website(s) use Google Analytics, a service that transmits website traffic data to Google servers. Google Analytics does not identify individual users or associate your IP Address with other data held in Google’s database. We use the analytics reports generated by Google to better understand website traffic and guest user behavior and conversion data to improve the performance of our websites. Our website(s) use Sojern, a service that provides remarketing technology to display online advertising on third-party websites and drive targeted traffic to the website to increase conversion. Sojern does not identify the individual user, but does display relevant advertising on multiple third-party websites. Third Party, Sojern, uses AppNexus Cookies to provide personalized content, social media features, and traffic analysis for its retargeting of online advertising. Third Party, Sojern, uses Tapad Cookies to provide personalized content, social media features, and traffic analysis for its retargeting of online advertising. These Cookies are used to enable you to share pages and content that you find interesting on our websites through third-party social networking and other websites. These Cookies may also be used for advertising purposes, too. Our websites use social media sharing tools provided by Add This, a subsidiary of Oracle, Inc., to enable visitors of our websites to share and follow online content around the Internet. Our websites use social media tools provided by ShareThis, Inc. to connect our websites with social media sites and allow visitors to share content across the Internet. __utma, __utmb, __utmc, __utmt, __utmz Analytics Cookies used to distinguish users and sessions, new sessions/visits, to throttle request rate, to track how a user reached the site, etc. Tawk.to __tawkuuid, TawkConnectionTime, ss, __cfduid Strictly to maintain session and provide functionality for chat support widget on Tawk.to platform (no tracking). Cookies are not the only way to recognize or track visitors to a website. We may use other, similar technologies from time to time, like web beacons (sometimes called "tracking pixels" or "clear gifs"). These are tiny graphics files that contain a unique identifier that enable us to recognize when someone has visited our websites or opened an e-mail that we have sent them. This allows us, for example, to monitor the traffic patterns of users from one page within our website to another, to deliver or communicate with Cookies, to understand whether you have come to our website from an online advertisement displayed on a third-party website, to improve site performance, and to measure the success of e-mail marketing campaigns. In many instances, these technologies are reliant on Cookies to function properly, and so declining Cookies will impair their functionality. Our websites may also use so-called "Flash Cookies" (also known as Local Shared Objects or "LSOs") to, among other things, collect and store information about your use of our services, fraud prevention, and for other site operations. If you do not want Flash Cookies stored on your computer, you can adjust the settings of your Flash player to block Flash Cookies storage using the tools contained in the Storage Settings Panel. You can also control Flash Cookies by going to the Global Storage Settings Panel and following the instructions (which may include instructions that explain, for example, how to delete existing Flash Cookies (referred to "information" on the Macromedia site), how to prevent Flash LSOs from being placed on your computer without your being asked, and (for Flash Player 8 and later) how to block Flash Cookies that are not being delivered by the operator of the page you are on at the time). Third parties may serve Cookies on your computer or mobile device to serve advertising through our websites. These companies may use information about your visits to this and other websites in order to provide relevant advertisements about goods and services that you may be interested in. They may also employ technology that is used to measure the effectiveness of advertisements. This can be accomplished by them using Cookies or web beacons to collect information about your visits to this and other sites in order to provide relevant advertisements about goods and services of potential interest to you. The information collected through this process does not enable us or Third Parties to identify your name, contact details, or other details that directly identify you unless you choose to provide these. There is a difference between Session Cookies and Permanent Cookies. Session Cookies only exist until you close your browser. Permanent Cookies have a longer lifespan and are not automatically deleted once you close your browser. We strive to keep Strictly Necessary Cookies only as Session Cookies and avoid Cookies with retention of more than 1 year.